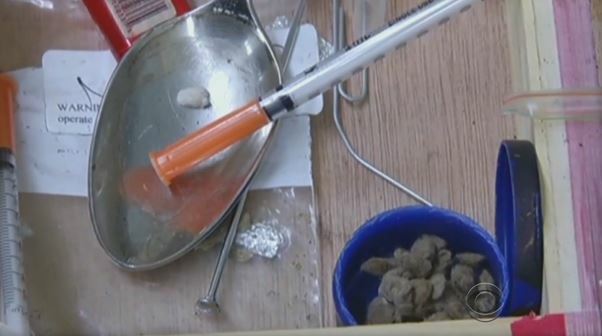 DAYTON, Ohio (CBS) An Ohio police officer says one man has been revived with the opioid-overdose antidote naloxone 20 times by police, but he still disagrees with a city councilman who asked if it’s possible for emergency crews to stop responding to drug overdose calls. Dayton Police Major Brian Johns tells the Dayton Daily News law enforcement took an oath to protect life, comparing the situation to a first responder not doing CPR on an obese person because they have poor dietary habits. Middletown City Council member Dan Picard said last week arresting people who overdose increases the burden on taxpayers and strains the court system. His comments garnered much attention and criticism. “Councilman Picard’s comments went viral and we’ve received hate mail, national news coverage and overloaded voice mail and email in-boxes,” Middletown City Manager Douglas Adkins wrote in a blog post on Wednesday. According to the Centers for Disease Control and Prevention, opioids killed more than 33,000 people in 2015, more than any year on record.